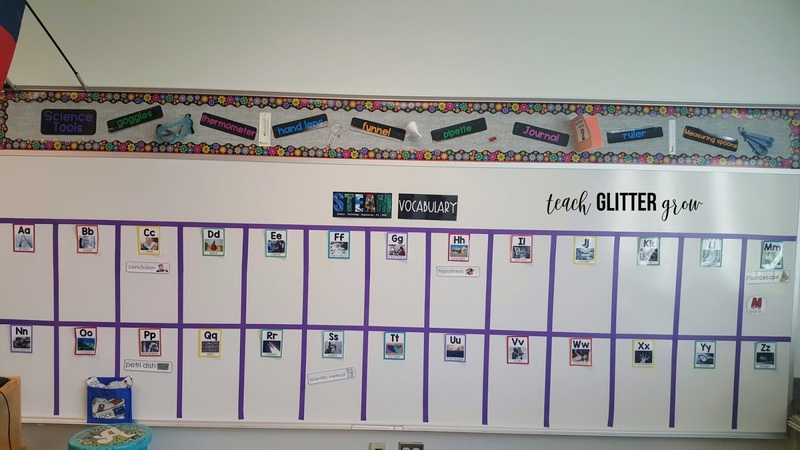 Welcome to my classroom! 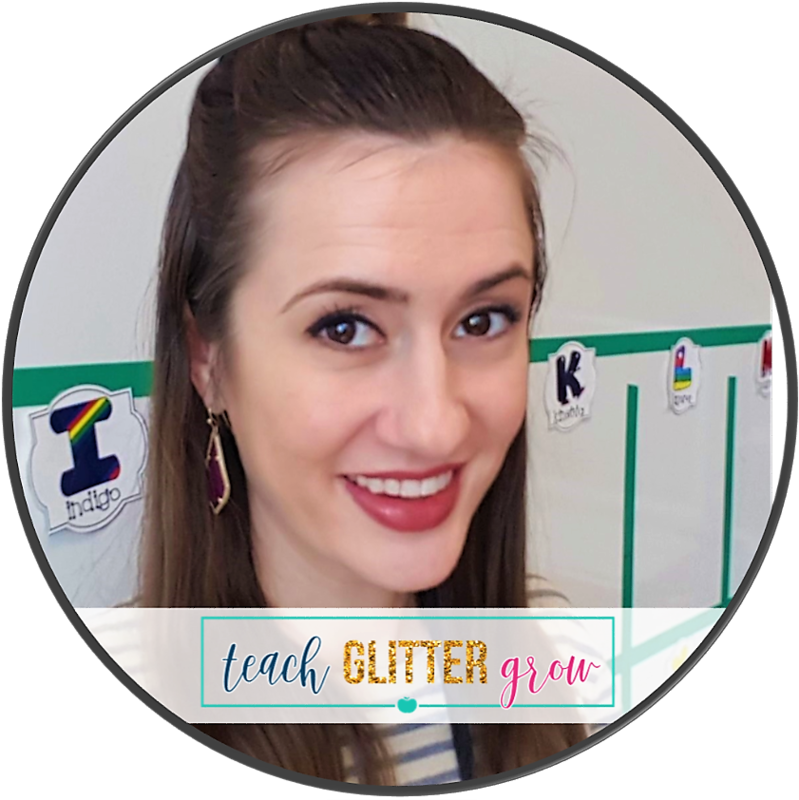 Each week over 400 4 and 5 year olds spend time with me learning and exploring in my little home away from home and I would love to share it with you too! These pictures will give you a little glimpse as to how my STEAM lab looks at the beginning of the year. 1st stop is my whole group area. 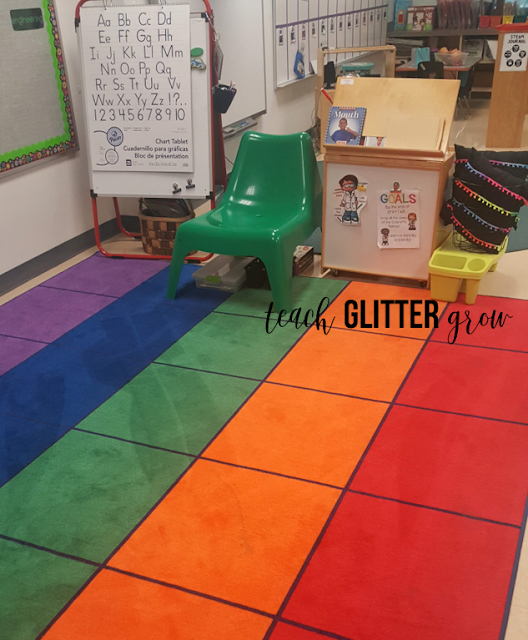 On the rug we do our lessons and read aloud. I LOVE my big green chair that I found at Ikea for only $30! (here). The carpet is also where students work on the iPad. The pillows (to the right of the big book easel) are from 5 Below and the little lap desks are from Michael's. Although I know this is not the best picture, this little table is my makerspace. 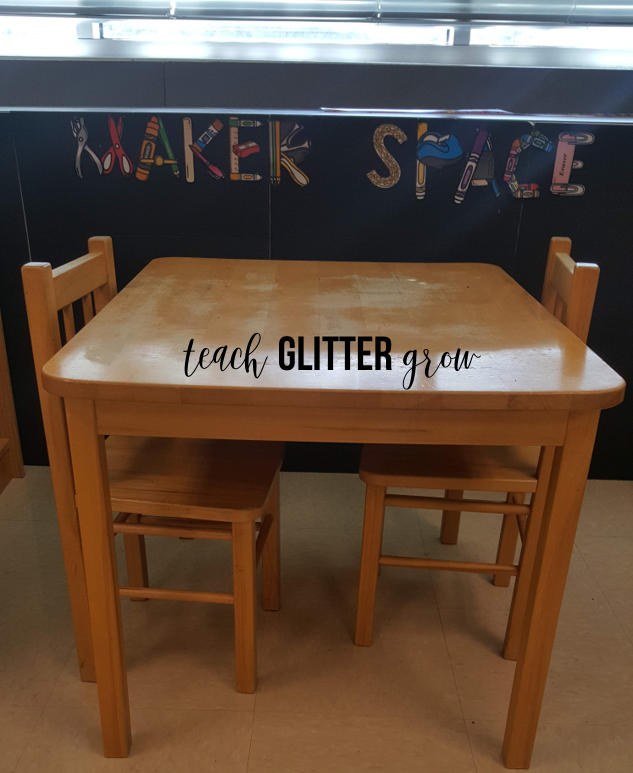 You can find the maker space sign for FREE from Cute in Second here. 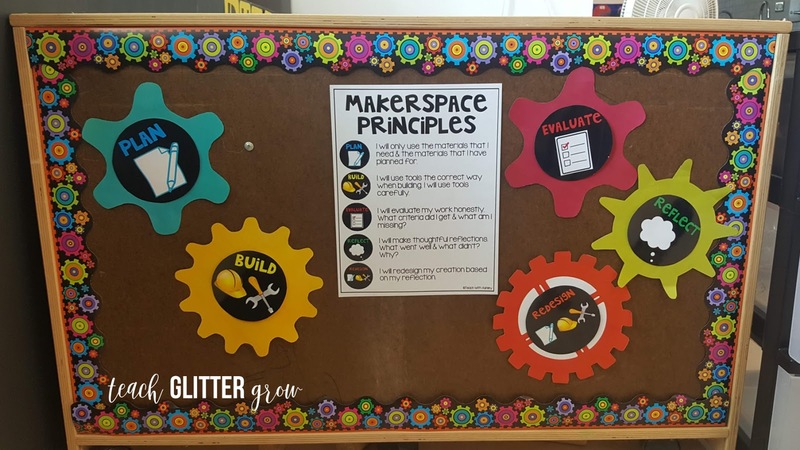 I got the Makerspace Principles poster and the circles from Teach with Ashley here. 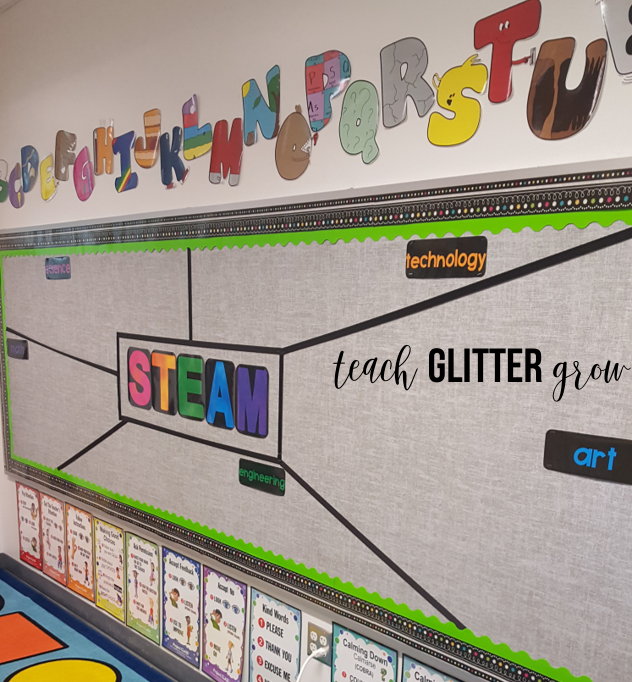 The words come as circles and I taped them to gears to match my classroom. 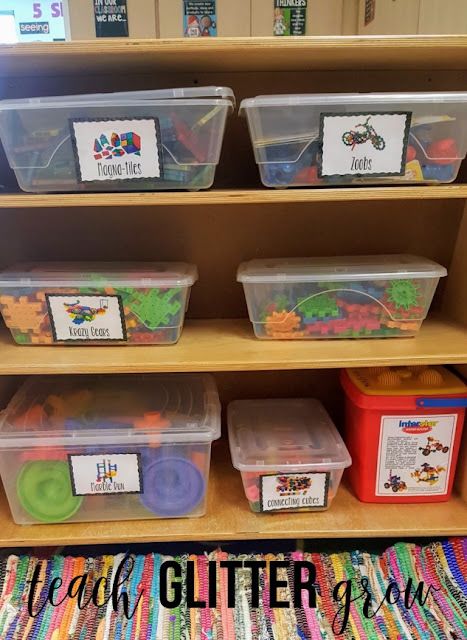 This shelf houses a lot of our Makerspace materials. Students can come get boxes of materials that they need and take them over here to the Makerspace area. The labels came from Fishyrobb on TPT (here). I change one side of my huge back window out each moth to go along with our theme. 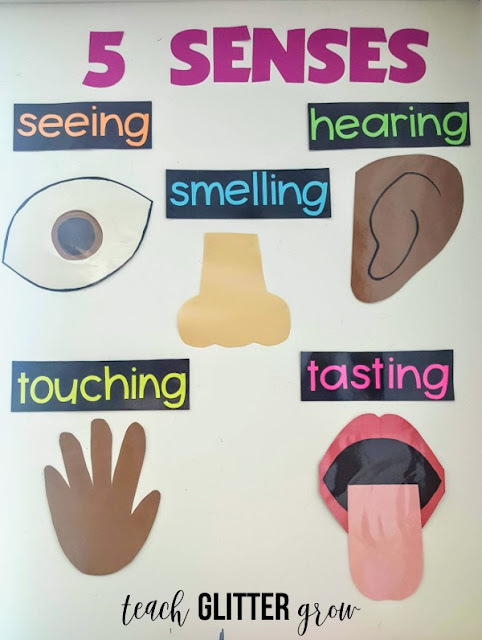 This month we are learning all about our 5 senses! 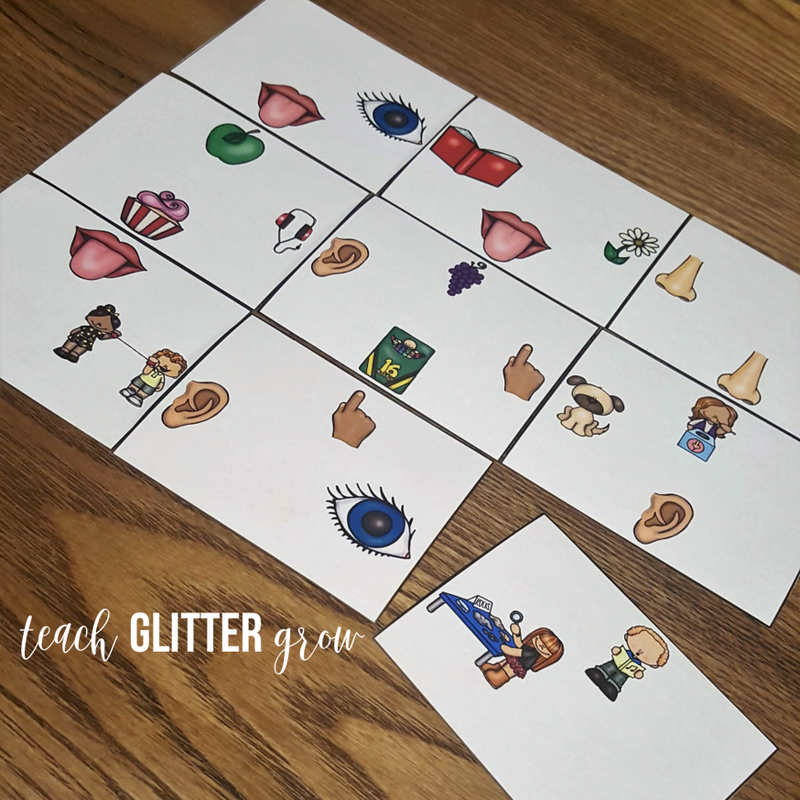 If you are also teaching about the 5 senses, you can grab this free 5 senses puzzle here! The other side stays the same all year. 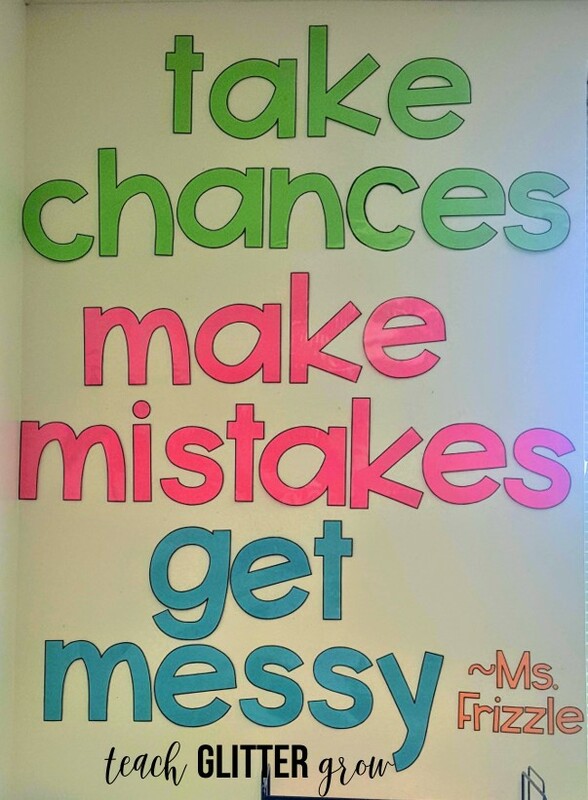 You've gotta love this quote from my girl Ms. Frizzle! 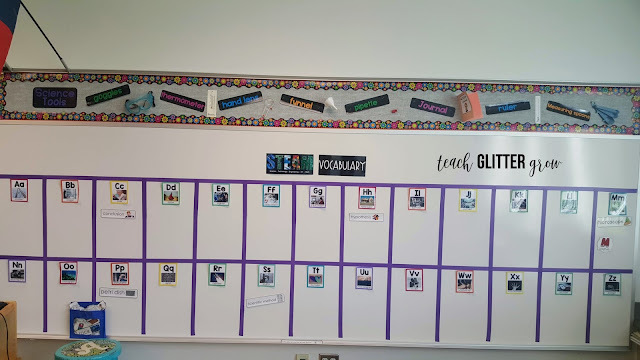 Here is my interactive word wall. The letters are the Makerspace Alphabet by Teach with Ashley (here). This bulletin board is right about my whole group area and is one of my favorite parts of my room. It looks pretty plain right now but throughout the year, it gets filled with tons of pictures of students hard at work building, creating, and problem solving! The only other bulletin board in my room is high above the "cubie" area so it stays the same all year long! This little corner is my blocks area. 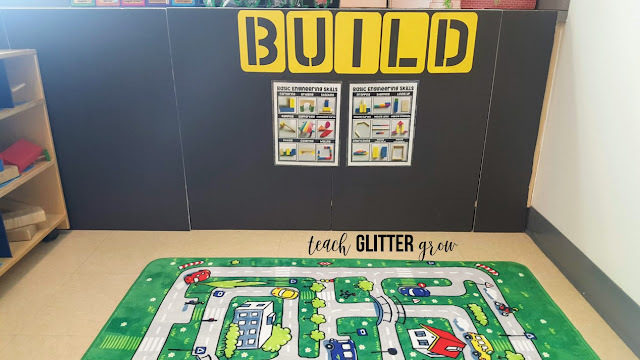 I think I found the rug at the 99 cent only store (for more than 99 cents) and the BUILD sign I just made on our school's handy dandy die cut machine. The Basic Engineering Skill Posters are from Brooke Brown on TPT and can be found here. There are shelves all along the bottom half of the back wall and I just bought black foam board and Velcroed it to the shelfs to hide the mess all of the resources I am not currently using. This last little area is my engineering station. 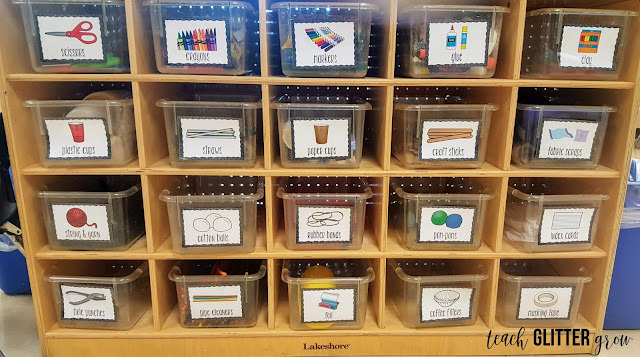 I will switch out the materials that they can use to build throughout the year but you can find links to get all of these fun engineering tools below. 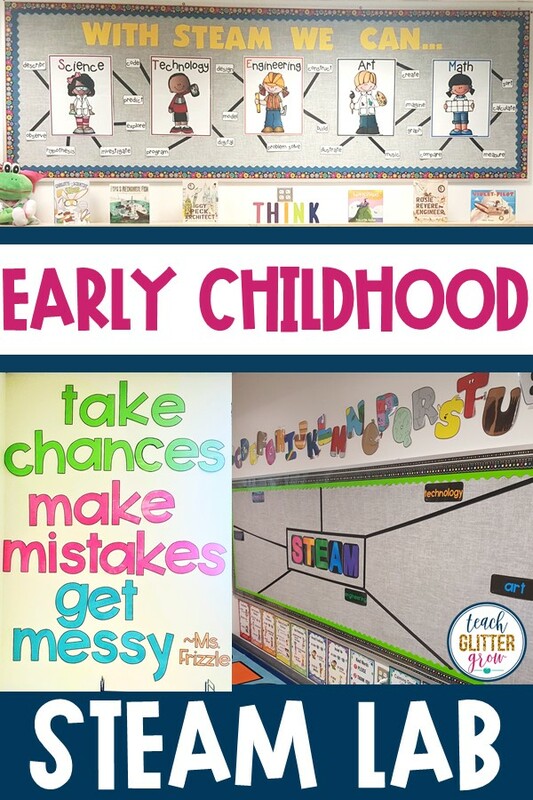 I hope you enjoyed the sneak peak around my classroom! I would love to hear any questions or suggestions that you might have. Have a wonderful school year!